Almost all type of organizations worldwide are adopting cloud computing models for its numerous benefits, but migrating existing applications and data to a cloud platform is filled with challenges. Cloud migrations and deployment can be made easy provided the organization has done adequate plans for action to work out the various tasks during a migration exercise. In this post we explore a number of significant points to consider while moving internal IT systems to a cloud. The transfer of legacy systems or the migration of existing applications from internal systems to the cloud may sound easy, but not always as easy as it appears. Though cloud models offer numerous configurations to easily integrate most of the software systems and applications, the IT department and management have a major role to play in a changed virtualized environment. Management along with IT should ensure that the migration is efficient, effective and business operations are not disrupted. This is because organizations may fail to understand the service provider’s true capabilities, or the approach to integrate business processes prior to migration may be inadequately planned. Extending the functionalities of applications to fulfill business needs. Here the deployment architecture is adjusted to increase the application’s resilience, performance, etc. Therefore, migrating existing systems to the cloud can be summed up as a three step process: Preparedness, Migration and Switchover. During migration, the software and data from a recent backup is implemented in the cloud platform and verified thoroughly to ensure the systems work properly in the new environment. 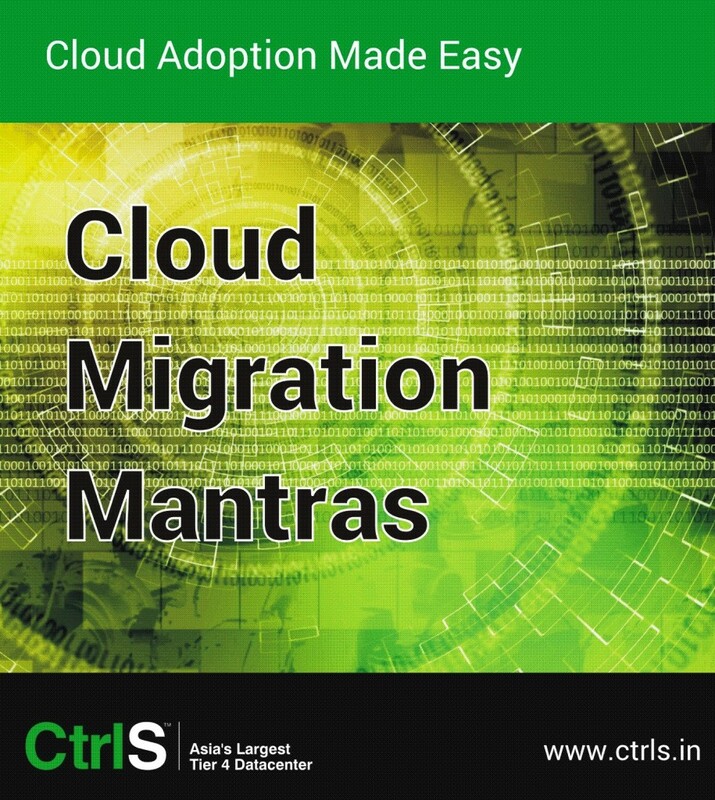 In order to realize full benefits of clouds, given below are a list of mantras for migration, which can also be considered as a checklist for smooth sailing on clouds. Constitute an experienced project management team to document business requirements on the cloud and a desired timetable for deliverables. The existing business model should fit for the cloud. Assess existing applications and the capacity demands along with costs. Make sure to document all assessments and plans. Make plans to handle vulnerabilities in a multi-tenancy architecture environment. Data safety is highly critical. Prepare adequate protection plans and have mechanisms to meet compliance regulations. Ensure the cloud requirement plans are approved and reviewed by all stakeholders, management, IT and business investors. Prior to migration, have a recent backup of all applications and data. This is again highly critical. Develop performance benchmarks to compare performance of applications after migration. Understand all SLAs fully to know the cloud provider services and responsibilities and make procedures to track and verify usage when systems become fully operational on the cloud. Check for standards, disaster recovery, security, privacy and the ability for scalability with the provider. Prepare a test plan for verifying the software and data are functioning correctly and have a fallback plan to handle exceptions. Document all changes and ensure migration will benefit the organization with the envisaged ROI. Complete a full backup of all existing applications, data, web content and all important data. Disable existing tasks on the server during migration. This done in order to perform the movement of application programs from physical to virtual (P2V) environment. Migrate databases and data from existing system to cloud platform. Migrate all web content to the cloud platform from the existing systems. Perform testing to confirm migrated data and applications are working correctly. Verify and confirm all data. Check whether users are able to access web pages, data and other applications through the internet. Make sure the web pages, data and applications are reachable by users. Ensure full security, controls and compliance is in place during and after migration. Verify and define appropriate SLAs. Perform a reliability test on the cloud platform to ensure business processes are working correctly and decommission the existing system after a certain period. Prepare an orientation program to help internal staff to understand cloud services and migration and if required help them understand how they can easily provision services. Create a new customer support model in the changed scenario. Ensure the focus is on competencies and not on infrastructure management. Define new reporting structure or templates, frequency, etc. for monitoring business processes if required. Discuss specific changes and address concerns immediately with all stakeholders and business partners. If required, hold regular meetings to make sure everything is working correctly in the cloud. Monitor the performance of web and applications on the cloud and compare it with initial baseline. If required, develop new performance monitoring plans for the new environment. Nominate a focal point or establish a team for all cloud related operations – handling incident response procedures, track resources, cost, SLAs, and so on. In summary, the above mantras for cloud migration are intended to significantly minimize much of the bottlenecks and challenges faced by organizations planning for a cloud implementation. The only method is to comprehensively evaluate organization’s business and IT objectives along with readiness in order to realize full benefits from cloud deployments. This entry was posted in Cloud Migration and tagged cloud, cloud migration on April 1, 2016 by admin.